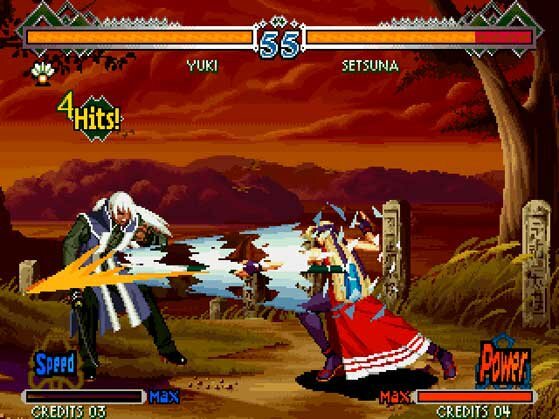 joins the battle on STEAM!ABOUT THE GAMEThe second title in the UM series is a fully upgraded version of KOF 2002, a masterpiece of the KOF series deserving of a place honor along with KOF ’98. Based on THE NESTS CHRONICLES, this title includes the most characters of any title in KOF history. All graphics and background music have been completely redone and the game balance has also been extensively redesigned. New moves have been added and others have been brought back, meaning that players can enjoy battling it out for longer than ever. With DNA from Kyo and K’, this title’s original character Nameless is ready for action! What’s more, all background music has been updated for more intense matches! 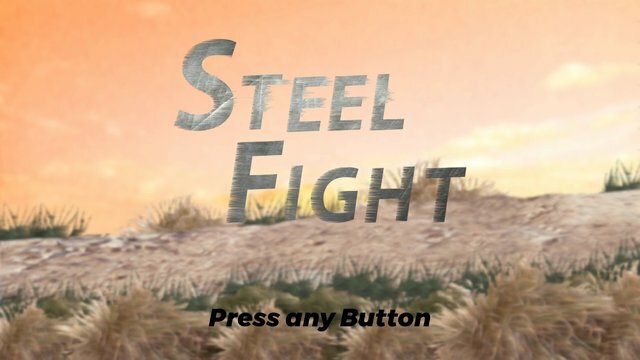 Each character’s special and extra-special moves are former moves and power-changing moves from past series as well as many new moves created for this title only. 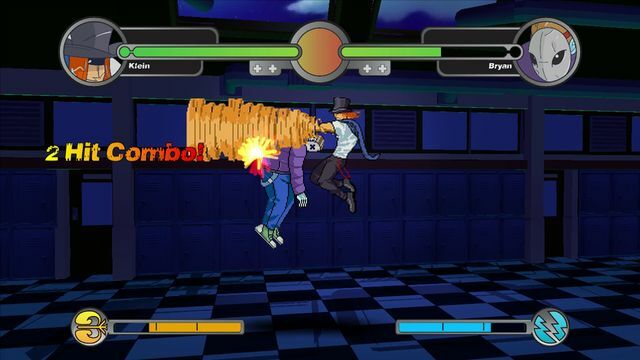 Not only can 50 different moves be practiced in both “normal” and “expert” difficulties in Challenge Mode, players can also create original combos in “Practice Mode”. There is also “Endless Mode”, where players can battle against the CPU for as long as their endurance will allow. A new video on YouTube was added to THE KING OF FIGHTERS 2002 UNLIMITED MATCH. The mechanics and gameplay are similires to the previous 2002, but with very marked differences, like, for example, the level of the characters is better balanced, (characters like Choi, Billy, Kim and Angel, are not far above the others). 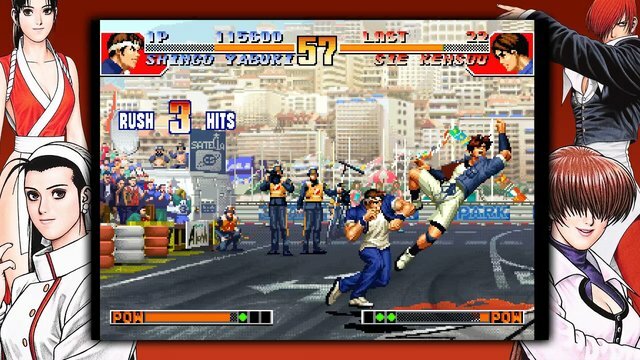 With regard to some of these characters and also the game in general, the fighting is faster, does not have the same bugs as the previous 2002, once your opponent is down, you can hit him while on the ground at a precise time with some characters , (Cases like Kio 1, Andy, Daimon, Bad, Hinako, Nameless, among others), sometimes with some punches the character can bounce off the screen limit and be hit later with another move, you can run the SDM (Super Despair Move) and the HSDM ( Hidden Super despair move or as they are popularly known the fifth or the hidden) without having the need to "explode" (SP + LK) and some DM (despair move) and movements in general different in this delivery. 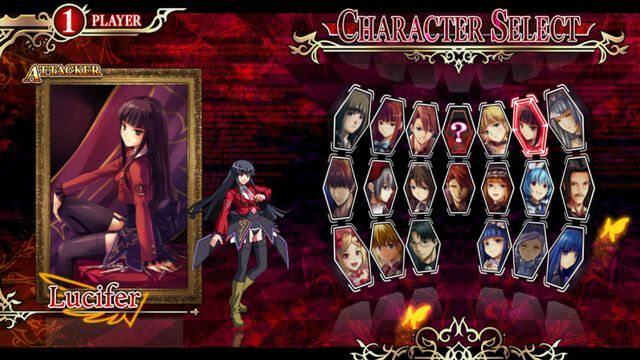 With regard to the game, have a very good variety of characters, you can enjoy a lot of the in its "offline" mode, because it has challenges, the arcade mode is very good and you can play in versus mode locally, the difficulty is good, its graphic section is well (In this aspect I do not demand much of this delivery, as it is a 2d fighting game aimed primarily at arcade machines and is not its main point to highlight, I think from kof2006 maximum Impact 2 are beginning to work better characters in their section Graphic and artistic), the scenarios are fine (it is a single plane) and the soundtrack of each team respectively is varied and is very good. Regarding online: When you look for a game and find someone with a Nick like 亚历克斯, it is likely someone from Taiwan or China (where it is still very popular this 2002UM) looking for challenges, but in their region, because of the distance will be a pin of more than 500 and by that Motive Most times it expels you. My advice if you want to find someone with whom to have duels fluently (without being completely perfect), is that you look for groups related to KOF of this region, you can find someone who still plays it occasionally and you will have a relatively low pin and Set the option "input delay" in a correct and synchronized way with your opponent (I recommend 30 or 25, it's my case). You can get to have good duels (repeat, not entirely perfect). The negative points in my opinion are the online, which is not completely broken, but you must have a correct configuration to work just fluently and not well enough, you can hardly find someone who still plays it, since this version (UM) was not So popular in this region. Another point against him is his price. For a game that was officially released on 2009 on PS2 and a few years later on steam, it should be cheaper in its normal price and bad remastering in the voices of some characters. With regard to its normal price falls short in the hours of play that can come to offer, if only consider this aspect, I would recommend buying on sale or when it is on offer individually, the overall quality of the game is well , this delivery (2002UM) of the King of fighters, in my opinion is among the best within this franchise in the fighting genre. If I had to rate it from 1 to 10 with respect to all of the above, I would give it a 7. My humble opinion.